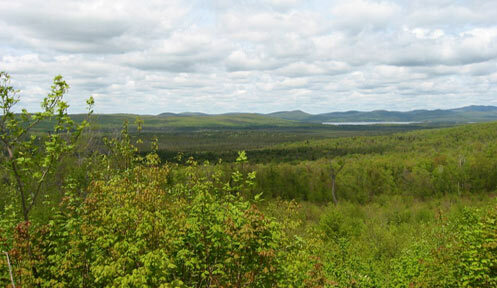 New Hampshire State law provides certain protections for landowners who open their land to those using it for outdoor recreation. I. An owner, occupant, or lessee of land, including the state or any political subdivision, who without charge permits any person to use land for recreational purposes or as a spectator of recreational activity, shall not be liable for personal injury or property damage in the absence of intentionally caused injury or damage. III. An owner of land who permits another person to gather the produce of the land under pick-your-own or cut-your-own arrangements, provided said person is not an employee of the landowner and notwithstanding that the person picking or cutting the produce may make remuneration for the produce to the landowner, shall not be liable for personal injury or property damage to any person in the absence of willful, wanton, or reckless conduct by such owner. Source. 1975, 231:1. 1979, 439:1. 1981, 293:2. 1985, 193:2. 2006, 5:1, eff. Feb. 3, 2006. (a) "Charge" means a payment or fee paid by a person to the landowner for entry upon, or use of the premises, for outdoor recreational activity. (b) "Landowner" means an owner, lessee, holder of an easement, occupant of the premises, or person managing, controlling, or overseeing the premises on behalf of such owner, lessee, holder of an easement, or occupant of the premises. (c) "Outdoor recreational activity" means outdoor recreational pursuits including, but not limited to, hunting, fishing, trapping, camping, horseback riding, bicycling, water sports, winter sports, snowmobiling as defined in RSA 215-C:1, XV, operating an OHRV as defined in RSA 215-A:1, V, hiking, ice and rock climbing or bouldering, or sightseeing upon or removing fuel wood from the premises. (d) "Premises'' means the land owned, managed, controlled, or overseen by the landowner upon which the outdoor recreational activity subject to this section occurs. VI. Except as provided in paragraph V, no cause of action shall exist for a person injured using the premises as provided in paragraph II or given permission as provided in paragraph III. VII. If, as to any action against a landowner, the court finds against the claimant because of the application of this section, it shall determine whether the claimant had a reasonable basis for bringing the action, and if no reasonable basis is found, shall order the claimant to pay for the reasonable attorneys' fees and costs incurred by the landowner in defending against the action. Source. 1961, 201:1. 1969, 77:1-3. 1973, 560:4. 1977, 208:1. 1981, 538:7. 2003, 29:1. 2005, 172:2; 210:11. 2010, 131:1, eff. Jan. 1, 2011. 2012, 214:1, eff. June 13, 2012.